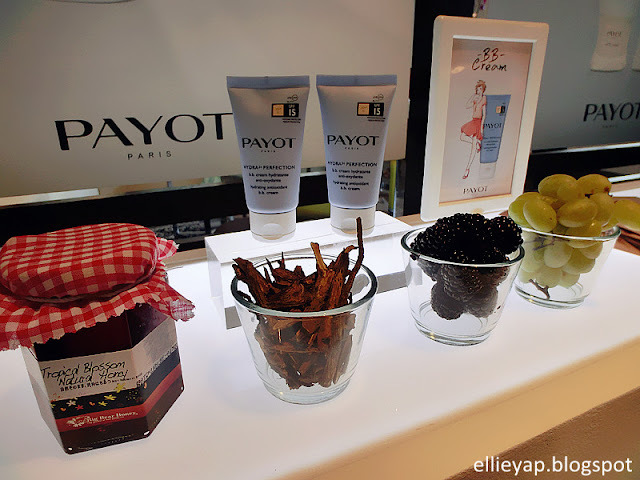 I was invited to PAYOT event few weeks ago from TheLilacBox. 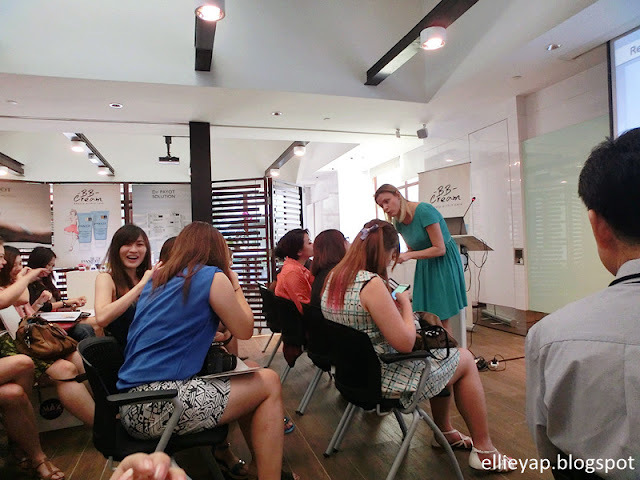 We have our presenter, which is a PAYOT expert from France! I think most of us, especially girls have developed a habit of putting on BB cream when ever going out even it's just a simple dinner with close friends and although it's a bit rush every morning. 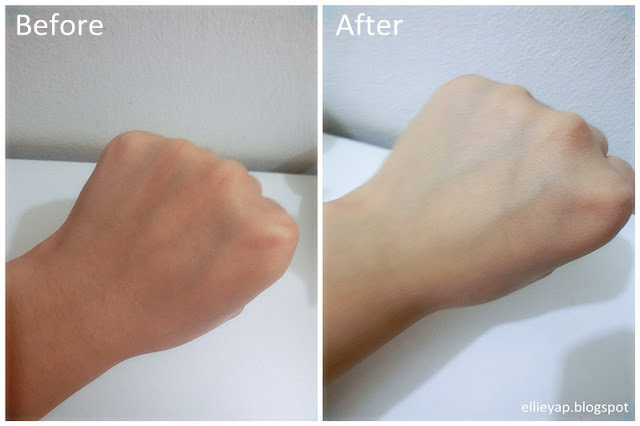 Instead of patting on foundation layer by layer, BB cream is much easier and simple to apply. 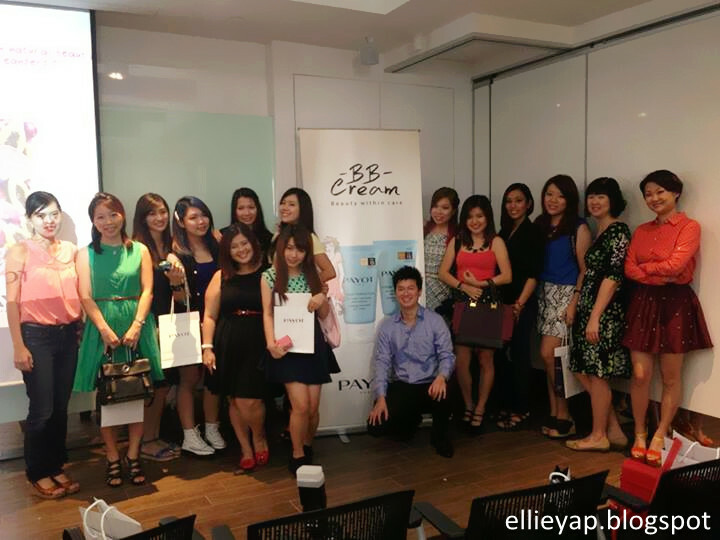 BB cream makes our skin look flawless and glow, getting rid of uneven dull skin tone. It's not hard to find a BB cream which combined with both function of good coverage and UV protection with its mineral ingredients in the store. But now, instead of these two common function which I mentioned above, PAYOT has unveiled a brand new 5-in-1 complexion perfecter, which is the HYDRA 24 Perfection. HYDRA 24 Perfection, which come with two shades, it's like a second skin of ours, perfectly adapted to ours lifestyles. It's not only a makeup product but working as a skincare product as well! Double function, double action! 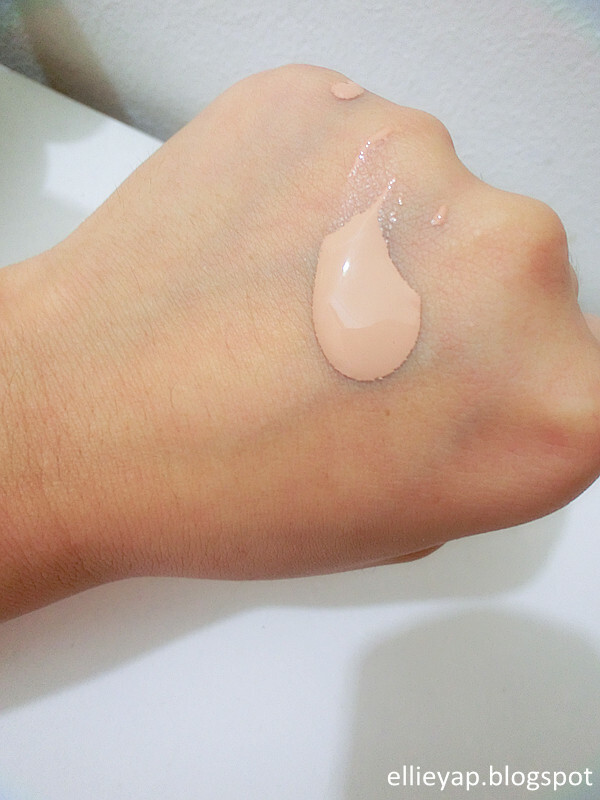 The texture of Hydra 24 Perfection BB cream. It's obvious that my skin glows and look smooth after applying the BB cream. Besides, in July, PAYOT has come out with CicaExpert as well, a new treatment at home! Cicaexpert is a skin repair accelerator. It can alter our skin where the cutaneous barrier has been damaged and fight scars. It is recommended for external damage and injured like peeling, laser, tattoos, waxing, after surgery instead of acne scars which is caused by internal body hormone changes. 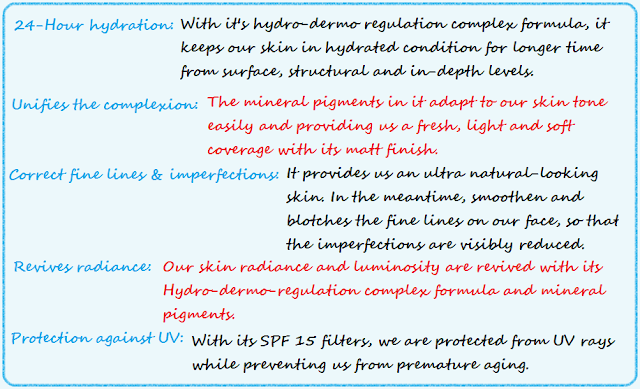 In the consumer tests, most of the consumers suggested that Cicaexpert has increased the heeling process of their damaged skin, decrease the size of scars and the colors of scars have faded. I gonna give this to my mom, because she always injure from oil splash when she cooks. 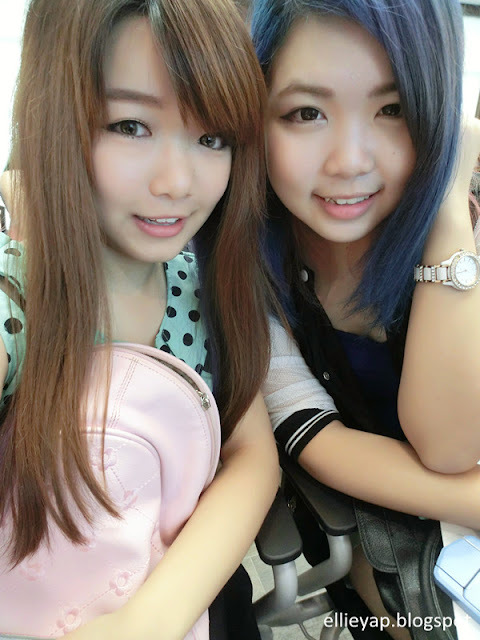 Some selca photos of me and my partner, Chency during the event! 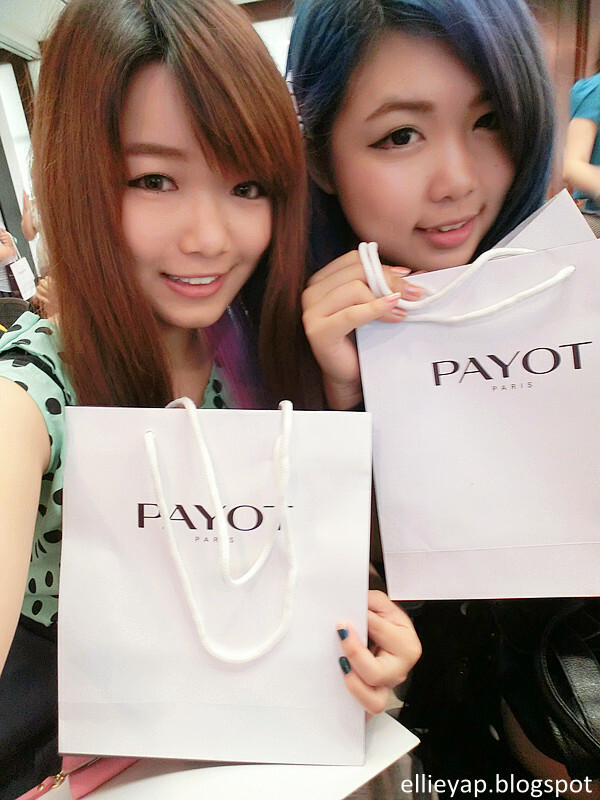 Thanks PAYOT for the doorgifts. 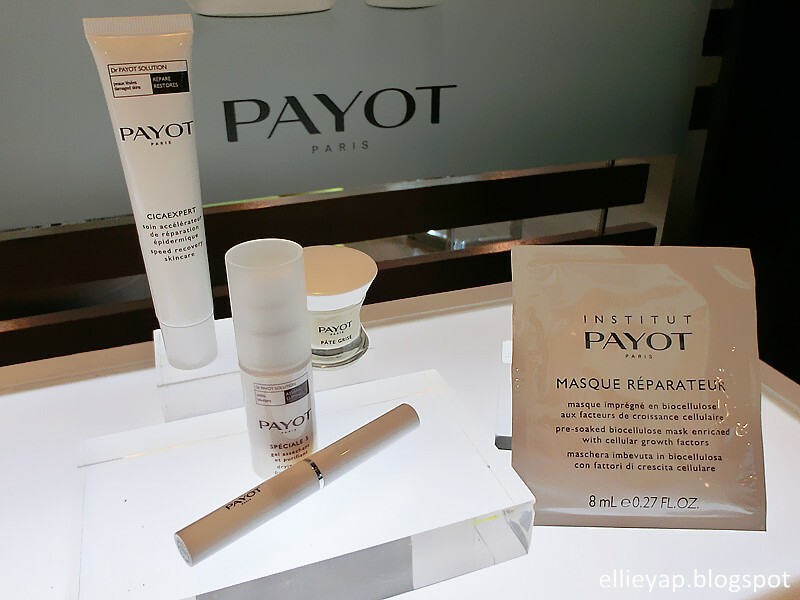 For more information, visit www.payot.com.